If you’re a college student looking to buy a new laptop to carry out your educational tasks, then this post would guide you to get a best Ultrabook with outstanding features. Technology has been emerging a lot and the thus computer is necessary for everyone, especially for college students. But carrying a heavy laptop all over the college day would become tedious for the students. Thus, Ultrabooks are the upright option for them to carry out their scholastic stuff. I’ve already been discussed the fundamentals of Ultrabooks like “What is an Ultrabook?”, its features, pros and cons and now, I came to talk about its use for college students. Before checking some best Ultrabooks for college students, I wanna tell you a few things to be considered at the time of buying an Ultrabook for college exploitation. If you’re planning to buy an Ultrabook for college purpose, below are some of the key features to keep in mind. Processor: Ultrabooks are usually equipped with Intel processor to handle multiple tasks. You may show interest to know whether it is an i5 or i7 Haswell processor. Storage capacity: To get a compact design and for efficient data transfer, most of the Ultrabooks have flash SSD (Solid Sate Drive). Thus, these tech devices run with no noise and heat. You may think about purchasing an Ultrabook with SSD + 4 GB RAM which can be stretched to 8GB. Screen Size: As a rule, Ultrabooks contains the screen size between 13 -15 inches which would be ideal for university use. OS and other software: Windows XP or Windows 8 (Licensed version) will be powered in Ultrabooks. If you’re an open source freak, you may consider buying Ultrabook with Linux OS. Be sure to check whether the Ultrabook comes with some additional software like Antivirus, Anti-theft, Free cloud storage feature or Identity protection technology. Connectivity: Ultrabooks have USB slots/slot and Wi-Fi feature. In some Ultrabooks, you’ll also get slots for HDMI and Card reader. Since Ultrabooks are meant to give low weight, it would be hard to find ports for Ethernet, DVD/CD player and VGA. Battery: As Ultrabook consumes less power, it has a good battery life of 6-9 hours without charging and 5-6 hours to play HD videos. You can get an Ultrabook with the average battery life of 7 hours. Warranty & Support: Before buying any tech product, its warranty period must be checked. Best Ultrabooks come with 1-3 years warranty, but you may look for AMC option for 2 more years. For any kind of Ultrabook issue, you can get help from the online support of the purchased brand. If you’re puzzling with a question “Are Ultrabooks good for college use?”, then do check the following six reasons. 1. Specially designed to be light and can be carried conveniently on the backpack. 2. Full-fledged laptop with normal size keyboard for handy typing. 3. High-resolution display with IPS technology to go through the study materials. 4. Fast processors to manage multi-tasking like documentation, presentation etc. 5. Rapid response technology to resume from standby quickly to do urgent tasks at class. 6. Long battery life to stay productive throughout the college day. Now you may check the 5 top-rated Ultrabooks to buy for your college learning purpose. Below are some of the best Ultrabooks for College purpose. If you’re looking to buy Ultrabook of greatest portability for your academic use, then Lenovo Yoga Pro 2 Ultrabook is an ideal choice for you. Its screen size is about 13.3” multi-touch display which could able to recognize the light swipe and its IPS technology offers wide viewing angles. 4th generation Intel core i7 processor has been incorporated in this ultra weight PC to deliver dynamic extra power when required. As it has 256 GB flash-based SSD, there would not be any noise or heat production. Its system memory is 8 GB suitable for advanced multi-tasking. Offering 4 versatile modes is the unique feature of Lenovo Yoga Pro 2 Ultrabook where you may use it as laptop, tablet, tent or stand. It has ability to render high-quality images with low power consumption because of the integration of Intel HD graphics 4400. This top Ultrabook has excellent connectivity features, extended battery life and 5 GB cloud storage space for free. 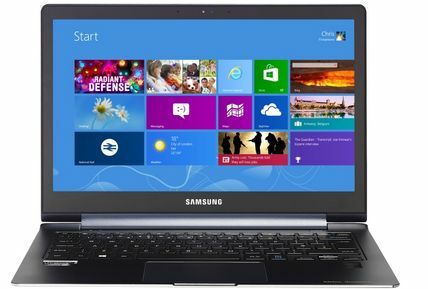 Samsung ATIV Book 9 Plus is one of the best Ultrabooks for college education as it has great mobility with elegant appearance. It boasts 13.3 inches Quad HD+ LED screen with high pixel resolution and 10-finger multi-touch technology. So, you can have the great level of screen brightness with this top Ultrabook than standard laptop screens. 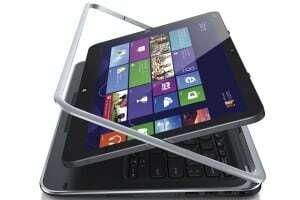 It boasts Intel i7 processor and 8 GB system memory which is non-expandable. Since this amazing Ultrabook contains Intel HD 4400 graphic processor and 256 GB SSD hard drive, it can be used effectively for educational purposes. It is essential to mention its exceptional battery life which is of 7.5 hours life. You don’t need to worry about its connectivity features as it has two ports for USB, HDMI output, Bluetooth and wireless networking. Even though it encloses built-in webcam and digital media reader, you will be missing optical drive and graphics chip with this premium Ultrabook. I’ve listed New Asus Zenbook Prime Ultrabook for college use because of its auto data backup capability when its battery falls below 5% and thus you’ll not lose your important college records. One more outstanding feature of this fashionable Ultrabook is that it is equipped with ASUS’s ambient light sensor technology which would monitor your surrounding conditions to auto adjusts the brightness of the illuminated keyboard and display according to your light of the location. Moreover, its IPS technology, 178® wide-view angle and NTSC color Gamut would make you experience premium visual effect in full HD. The storage capacity of this gadget is 128 GB SSD + 4 GB DDR3 memory. 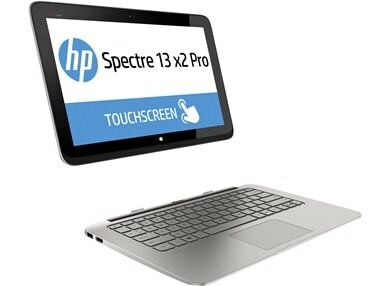 You could adore its super-fast boot-up time and quick loading applications which are facilitated through its flash SATA III SSD and powerful 3rd generation Intel core processor. Offering detailed sound reproduction with excellent clarity by its SonicMaster technology is other prominent stuff of ASUS Zenbook Prime Ultrabook. Out of all, this best Ultrabook has incredible connectivity and cloud storage features. So, its overall features would make this device perfect for college use. This brand new Ultrabook is one of the thinnest detachables with extreme flexibility and security features. This made me to list this 2-in-1 ultrabook for college use. 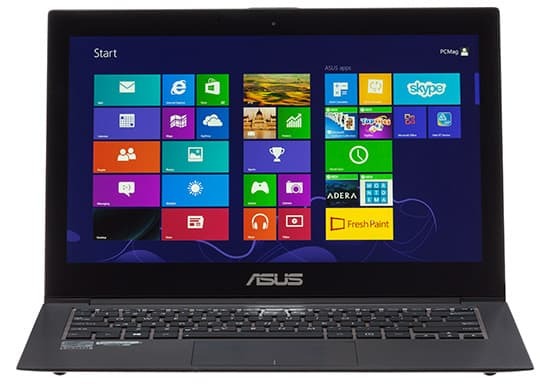 It has high-quality construction which boasts Intel Core i3 processor to allow you to perform most demanding features. Its touch sensitive LED backlight screen is 13.3 inches with outstanding pixel resolution and full HD ultra-wide viewing angles. As it is a precision-crafted Ultrabook, you could enjoy with its stylish appearance and colourful viewing experience. Another reason for including this best Ultrabook for college students is due to its advanced audio/visual features. Yeah, you could take high-quality images even in low light and have better viewing experience by its IPS technology. You may easily create slideshows, store content online and share almost anywhere with this versatile tech gadget. It also provides hardware-based encryption keys to protect all your data. Thus I’d say that it is a convenient Ultrabook with true innovation for intellectual activities. Dell XPS is an ultra slim device (0.7” thin) specifically designed to give ultimate mobility. Its 13.3 inches LED black light technology screen consumes less power and give better energy efficiency. This screen supports multi-touch gestures with full HD 1920 x 1080 native resolution. You could get enhanced system performance and strong computing from its dual-core 4th generation Intel core i5 processor. Its 8 GB DDR3 memory would let to control multitasking operations without any hassle. Likewise, all your data will get secured in its 128 GB SSD. Fast booting, admirable connectivity and Backlit keyboard (you can type accurately even in low light condition) are some of the features would make this Ultrabook suitable for college student. Besides, the battery life of Dell XPS 13.3” Ultrabook outlasts the competition but you may disappoint with the lack of SD card slot. So, if you wish to buy Ultrabook with thoughtful design, powerful performance and refined features for your educational needs, you may get this awesome touch screen Ultrabook. Here is an exciting news for you!!! If you wish to save big while purchasing these Ultrabooks, you may shop online at GOSF season on Ebay. To boost online sales, great deals and deep discounts on wide range of leading products will be offered to the online shoppers on Great Online Shopping Festival (GOSF). It will be similar to “Big Billion Day” of Flipkart and “Saving all day” on Snapdeal. For this year, the dates to grab the GOSF offers have been announced ant it will take place on 10th to 12th December 2014. So, you may wait for few days to grab huge discount on purchasing any gadgets using eBay coupons at GOSF. It is expected that GOSF will be a big event, because more than 200+online merchants are taking part this year. The heavier the laptop is, the less likely you’ll carry it to your college. Thus, weight is an important factor to be considered while buying a college laptop. Ultrabooks are best suitable for college use as its weight lies less than 4 lbs and you may easily lug around the campus. Avoid buying laptops designed for entertainment or media use and look for professional computers with high longevity. Also, give importance to screen resolution to look at the things in a crisp manner to prepare lab report, presentation documents or essays through web researching. Try to get a dual-band wireless card too. I’ve listed the best premium Ultrabooks for college use. Even though, the price of the above gadgets seems high, they will surely last for all your 3-4 years of college. What do you think about using Ultrabooks by college students? Are you using any best student computer? Share your thoughts in comment section. 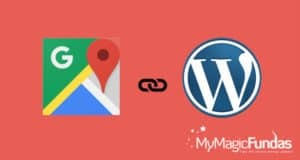 How To Add Google Maps To WordPress Without Slowing It Down? Superb post indeed. This is the killer list of ultra books for students. I am a college student. But in my college, no gadgets are allowed. College authorities charge 500 rs from us if they find even a black and white phone from us. Mam, I thought you added the cost range also, while reading the post title. All you presented is surely awesome picks. Thanks for checking my post and sharing your college experience here. Our education system is following some strict rules and thus some institutions not letting the college students to use electronic gadgets. I hope that the useful tech devices like e reader, ipad etc. will be allowed soon for university students soon. Great collection of Ultrabooks for college students. All are comes with stylish design and unique features. Useful list for college students. Searching and finding out a good product from online is really a difficult task, you made that easy for students. Nice share. This is my first visit on your site and am fully got impressed. What a great collection of ultrabooks which are really useful for all the college students. The post is nice but why is there no product from Apple? I have seen many people in my college flaunting the high end macbook air laptops! 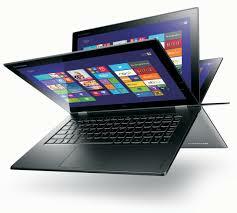 Lenovo Yoga Pro 2 Ultrabook seems really awesome device among all of them. I was just searching for a laptop for my brother, May be I’ll pick any one from the above listed ones. and handy guide to the student community. Lenovo Yoga pro 2 will be my first choice as I have always been a great fan of the sleek laptops and this also satisfies my basic needs as I am not a heavy gamer.Although I missed some great deals at GOSF but I will still go for it. [ Smiles ] I can clearly see that you did your homework where ultra-books are concerned. Personally, I love fast processors; so an ultra-book with an i7 processor would be most ideal for me. I am not too worried about battery life, because I am always close to a wall-socket. Welcome to my blog Renard, happy with your arrival! Good to read your viewpoints. Yes, I have spent quality time to consolidate the reliable gadgets for my beloved readers. If you’re serious with blogging, I’d suggest you to blog with self hosted WordPress domain. Happy weekend, keep coming!!! I came back into blogging after long one year plus I’m visiting your blog after so long. You sorted a fantastic list laptop for college students. I would like to buy either Samsung or Dell. I just love the information you have shared. I am thinking to get a machine like “New Dell XPS”. I think i have finished with my decision. I will share my experience with you for sure. Thanks for the wonderful information.